As The Bridge reached a thrilling conclusion, we are excited for the news that FX have ordered a second series! Fingers crossed that Matthew, Emily Rios, Johnny Dowers and Ted Levine will be back on screens along with our favourite mismatched detectives Diane Kruger and Demian Bichir. As October rolls towards Halloween, we know that plenty of you tune in to watch Matthew’s movies and we are pleased to offer an exclusive DVD giveaway for two lucky winners! Dear Dracula is released on DVD from Kaleidoscope Entertainment, starring the vocal talents of Matthew with Emilio Estevez and Ray Liotta alongside Ariel Winter and Nathan Gamble. “Sam is a monster movie buff who lives with his grandmother. He has a best friend in the girl next door, but he’s always felt like an outsider. We have two DVDs to give away, please comment below or tweet us at @mattlillardfans to be in with a chance to win! These DVDs are UK region only to please make sure you can play this region before entering this competition. Winner will be chosen at random on 16th October. 3 Responses to The Bridge Series 2 has been ordered! 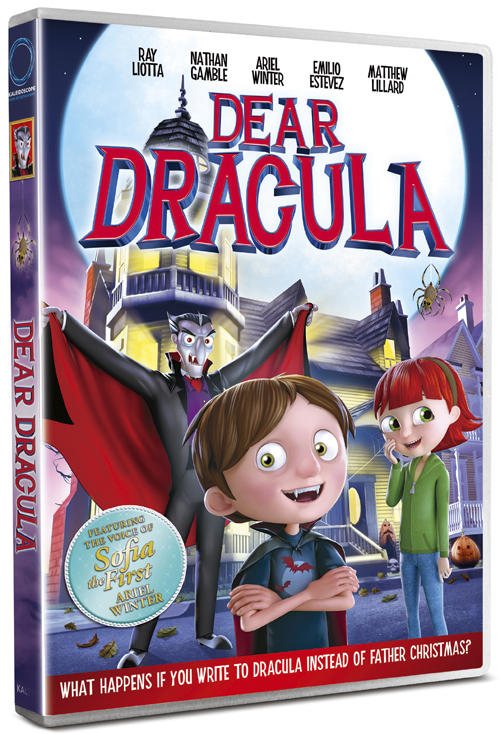 Dear Dracula giveaway! Enter to win! my goddaughter would love this film and I’d love to hear Matthew in it!